I usually can’t see them, but I can hear the toads in my yard at night. But when I do see them, they are starting to hop around the garden at twilight (they’re nocturnal). Toads are an important part of my garden’s ecosystem. These amphibians can eat as many as 3,000 bugs in a month. In my yard, I hope they spend most of their time eating all the snails and slugs. Frogs are great for the garden too, but I don’t have a pond (yet) to sustain them. Toads can live for a long time (up to 12 years!). If you provide the right environment for them, you may get life-long tenants in your ecosystem dedicated to reducing pests in your garden. Toads will hibernate during the winter and return when it warms up in the spring. Toads like to hide under plants that create a cool, moist umbrella for them – like salvia microphylla, ferns and columbines. You can also create a habitat for them by adding a toad house. You can buy one or create your own. Making a toad house is as easy as turning over a flowerpot and propping it up a bit. I used a couple of terracotta pot supports, but you can use rocks, branches or whatever you have on hand. I also put a small tile on the top of the pot’s drainage hole to block light. Place the house in a shady area that stays moist. Toads also need a water source, so I placed a terracotta saucer nearby. I put pebbles into mine so that it can also be a water source for pollinators. A shallow container works well so that toads can easily hop in and out of it. Toads and frogs absorb water through their skin, so it’s important that they can get into the water source. In the summer, I refresh the water daily as it’s very dry in my area. With that said, a pond is ideal for frogs and toads and I hope to have one in the garden some day. Just like pollinators and birds, frogs and toads need a range of plants. 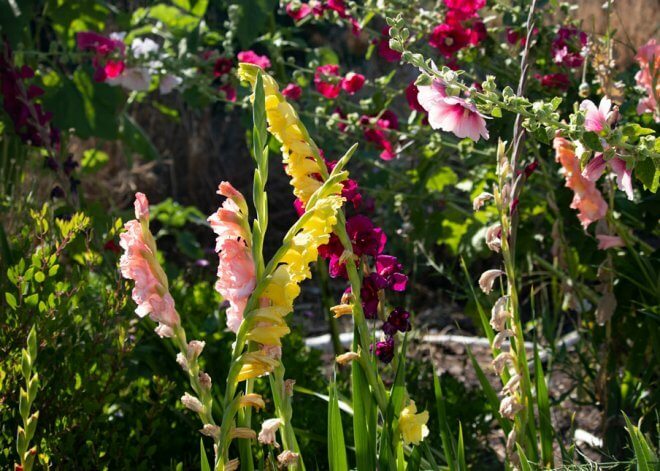 But wildlife especially benefits from plants that are native to your region. 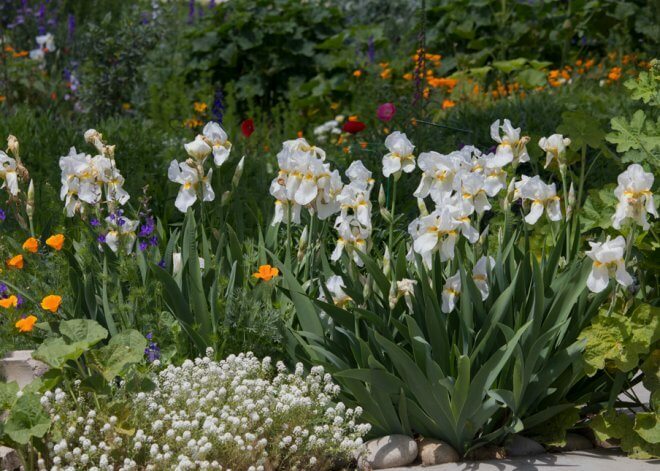 They also benefit from the messy garden – decaying leaves, piles of branches, etc. can provide natural shelter. Install a toad light in your yard. Place it near an area that provides shelter and/or includes a toad house. It shouldn’t be any taller than 3′. The light attracts insects and thus brings toads to prey on the bugs. Step away from pesticides, herbicides, synthetic fertilizers and other chemicals – they can poison toads and frogs. These amphibians have very porous and delicate skin that easily absorbs chemicals. 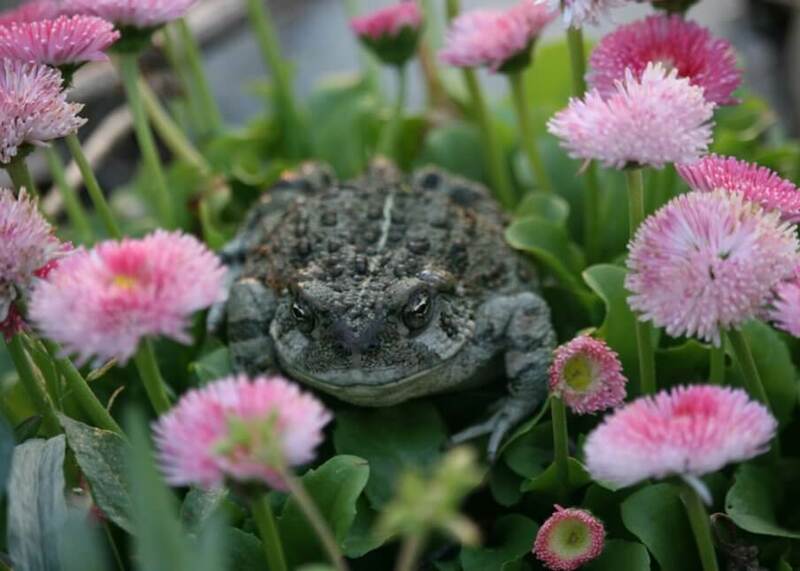 Leave the destruction of garden pests to the frogs and the toads – they will help you to reduce pests in your yard. Dogs can be problematic with toads and frogs. Some dogs will try to hunt them down and can be exposed to a toxin they release through skin excretions. Our cats love to stalk toads, but they jump back every time the toads hop. So they circle, they watch and get frustrated that the toads disappear into their houses, but they don’t attack them. This is a spectaculae idea and who doesn’t love to see more wildlife in their own happy place! 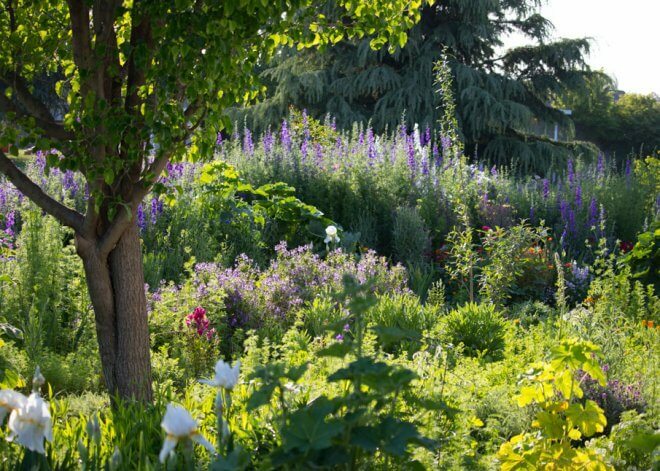 Is this beneficial for all types of gardens (wildflower vs veggie garden)? Any down sides? As an organic veggie gardener will harvesting my haul disturb the toad too much? Will the toad eat my produce? Megan, toads are beneficial for any type of garden. They are nocturnal, so they will be snoozing while you are working in the garden. No, they don’t eat produce; they are carnivores. Toads eat snails, slugs, insects, worms, ants, etc. I’m toadally (ha) going to try your flower pot toad house next spring! I hear toads a few blocks away at the river, so it isn’t crazy to think they might find their way up to my yard if it’s cozy enough for them. Thanks for the tip! Hi Connie! I hope the toads find their way up the road! But early in the spring, when there are tadpoles in the river, that might be a good time to relocate them to your property. Let me know if that works. I’d love to attract toads to my garden. I’ve made toad houses of different kinds but always end up housing a black widow spider rather than a toad! Any ideas? At the moment, I’ve removed all the houses and am trying to attract them with mulch and a dish of water. Hi Merry, The other night I almost stepped on a toad. It was sitting perfectly still waiting for a snack in a lighted area – I gently poked it to check to see if it was alive. It likes this location because the light attracts night-flying insects. You could install small solar lights that you just push into soil. I updated the article to include lights to help attract toads. I hope that helps to bring toads into your yard – let me know if that works.